The Rose Berry Art Gallery is located on the upper floor of the Museum of the North. The Alaska Territorial Legislature included the museum in the charter for the University of Alaska in 1917. The museum had its first exhibit in 1929, a collection of ethnological, archeological and paleontological material that had been collected by the famed local naturalist, Otto Geist. 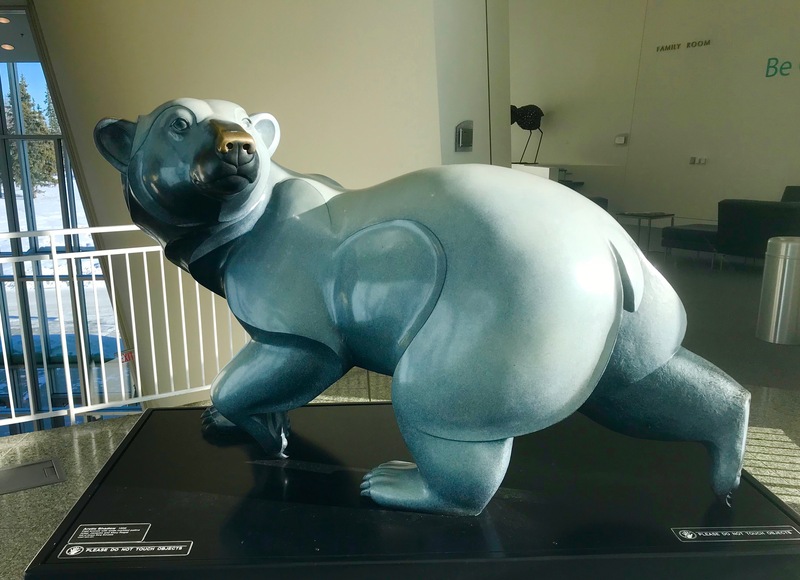 The large brown bear at the entrance to the museum’s Alaska Gallery is named “Otto” in honor of Mr Geist. In 1929, the University’s small collection of paintings were also placed on exhibit. Warning: Do not touch the bear! I think it’s safe to say the bear’s nose gets rubbed for luck on occasion. 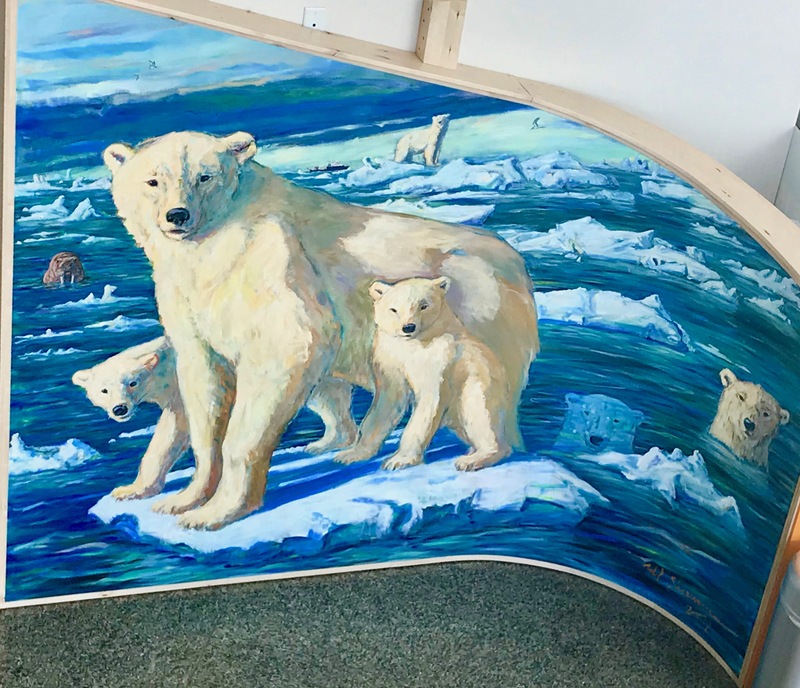 The art gallery is home to 2000 years of Alaskan art, from ancient ivory carvings, to contemporary sculpture and paintings. Artwork by “Rusty” Heurlin is displayed throughout the gallery. Heurlin spent several years living in the bush with his Alaska Native friends. 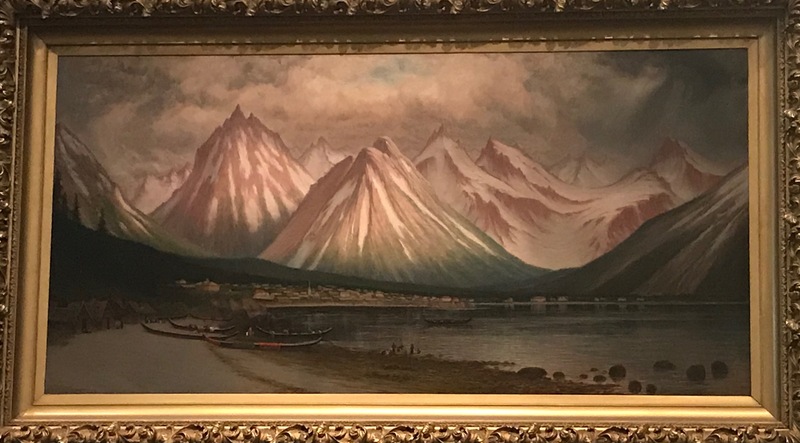 The Muries, subject of the painting above, traveled throughout Alaska by dogsled. Margaret Murie was the first woman to graduate from the University of Alaska. 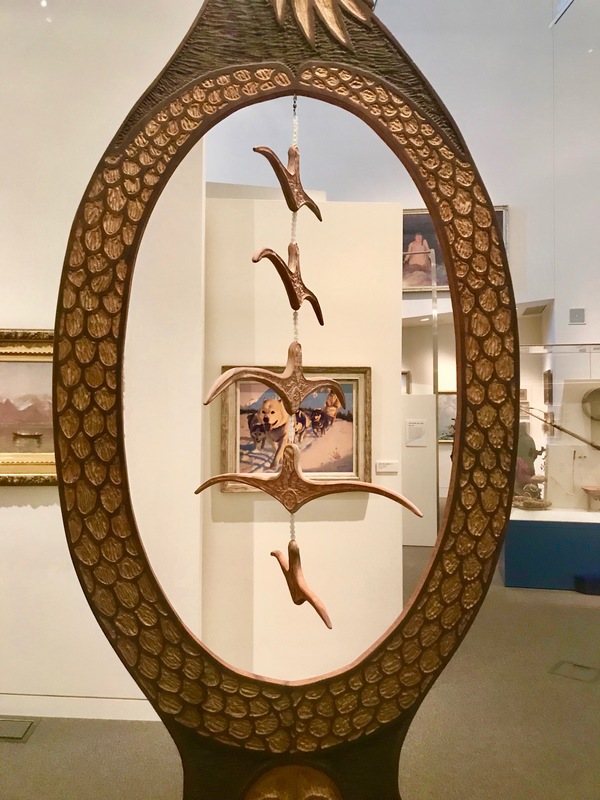 The gallery has over 3700 works of art on display. The current building was completed in 2005. Prior to that, much of the artwork was not displayed. Even with the new space, the vast majority of the collection is not on display. The Archaeology Collection alone has over 750,000 artifacts. 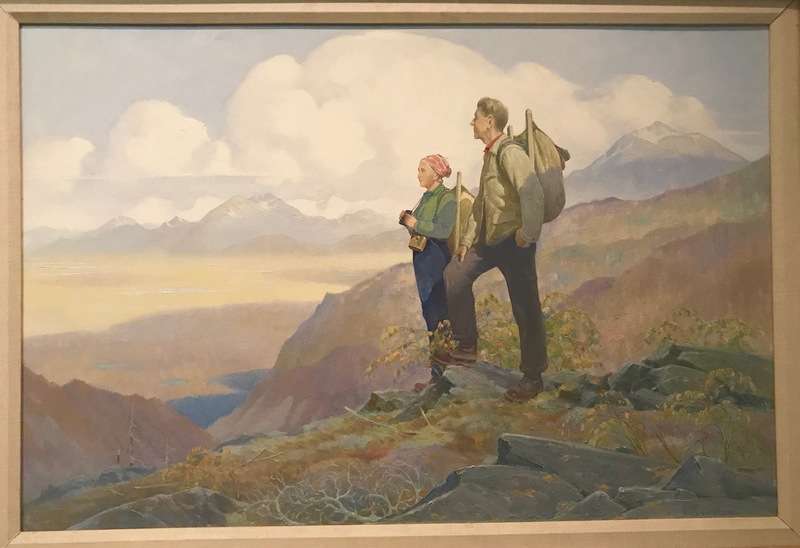 The work ranges from photographs by Ansel Admas, a painting of Denali by Sidney Laurence, to sculptures including the two thousand year old Okvik Madonna which originated in the Bering Sea region. In addition to paintings of wooly mammoths, there is a large selection of contemporary art as well. One of the most prominent is a rather large and elaborate outhouse. I did not take a picture of the impressive throne, but I did check to see if it was authentic. It was; it had a styrofoam seat. I did not check to see if it had been used recently. Admission to the art gallery comes with admission to the museum. Don’t forget to check out the Place Where You Go to Listen. An “ever changing musical ecosystem, giving voice to the darkness, daylight, phases of the moon, seismic activity of the earth, and the dance of the aurora borealis”. It is honestly, quite the experience.